Sydney Lucas (left) and Beth Malone from the cast of "Fun Home" portray writer and cartoonist Alison Bechdel at different ages during the 69th annual Tony Awards in 2015. “Even at the time, as I was writing these stories . . . about the stuff my generation was thinking and doing, I thought of it as a kind of archive,” she said. 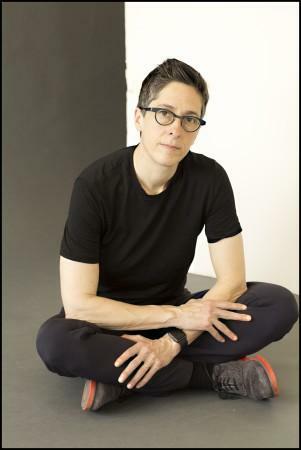 Cartoonist and writer Alison Bechdel made a name for herself writing minorities into her comic strips. WYEP’s afternoon mix host Rosemary Welsch talked to Bechdel about her memoir-turned-musical, "Fun Home," her long-running comic strip, “Dykes to Watch Out For,” and how her work helped normalize the LGBT+ community. “The world was so hostile that we developed this parallel world," said Bechdel. "And I was so happy to have that space. And I wanted to be a part of it. That’s where my work came from. I wanted to show this other world where gay people were just regular. Where they weren’t dealing with the constant strife of having to fit in in the regular world, they were just having their lives. And then what happened over time was that became reality. We got to be just normal people, to a larger degree than I ever could have imagined." Today, her name is also synonymous with a test measuring representation of women in film: The Bechdel Test. Elsewhere in the program, residents who live near U.S. Steel’s Clairton Coke Works are being asked to limit their exposure to outdoor air due to ongoing pollution problems stemming from a Christmas Eve fire at the plant. Jim Kelly, deputy director of environmental health at the Allegheny County Health Department, says staying indoors can only do so much. Reid Frazier of StateImpact Pennsylvania and the Allegheny Front also reports. 90.5 WESA’s Ariel Worthy reports on whether it's possible to enforce gun restrictions proposed in City Council. Gun rights advocates gathered Downtown on Monday to protest the ordinance. And while the Carnegie Museum of Art possesses a large collection of works, the amount of art it rejects is just as impressive. As part of the 57th Carnegie International, two artists are taking the titles of 10,632 artworks and making them into hand-lettered text paintings. WESA’s Bill O’Driscoll reports that visitors can take a painting home with them. Authorities say DNA and fingerprints helped lead to an arrest in the kidnapping of a Pennsylvania girl nearly 20 years ago.